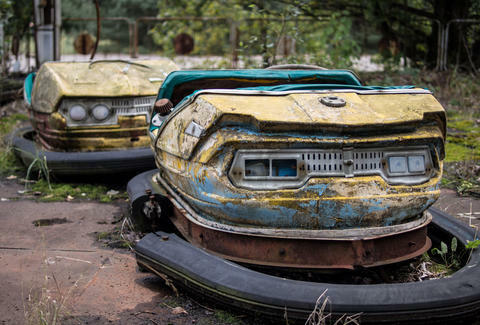 While now might not be the best time to visit Ukraine (they've kinda got some things going on), next week marks the 28th anniversary of the Chernobyl disaster, considered the worst nuclear accident in history. 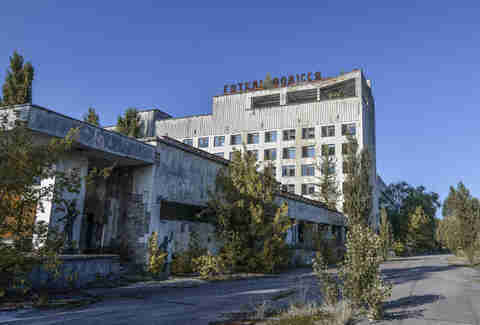 Radiation levels have finally dropped to the point that visitors can tour the facilities -- were you to make the trip when the political tensions ease, this is what you'd find. Tourism is heavily regulated, and visitors are required to submit a formal application well in advance. 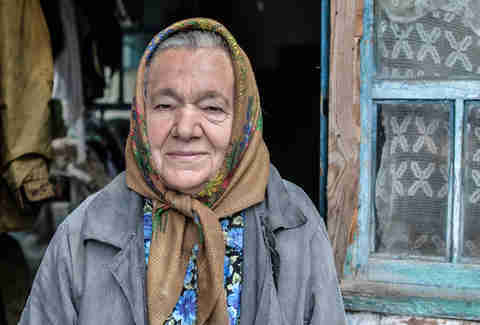 If yours is accepted, you'll be provided with a local guide to show you around, although whether she'll be this cute and/or seemingly happy is anybody's guess. Remember, they're going through a lot. 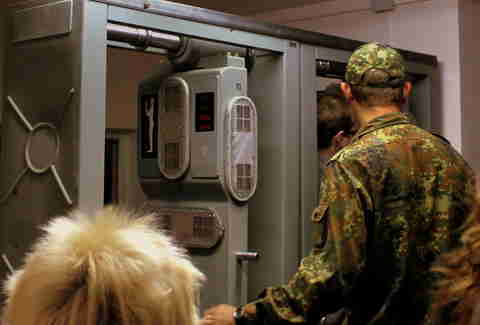 You’ll leave Kiev with your tour group at 9am, passing through a checkpoint before entering the 30km-wide Exclusion Zone that contains the irradiated area surrounding the power plant. 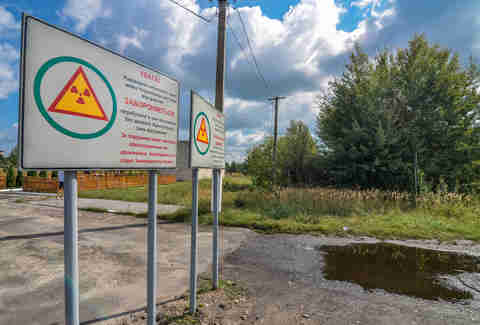 Upon entering the city itself, you'll meet with members of the Chernobyl Interinform Agency -- the governmental body charged with maintaining the Exclusion Zone -- who'll give you a rundown of what to expect, and what not to do, as you explore the controlled area. To reinforce the fact that the place is still pretty dangerous, you'll receive a personal radiation detector before going any further. You'll also pass through one more checkpoint. 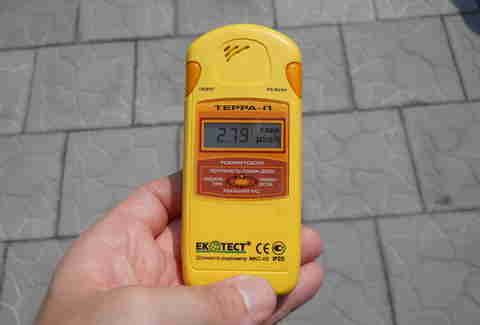 Radiation levels at Reactor 4 are still high enough that visitors aren't allowed to approach the structure itself. The catastrophe was a Level 7 on the nuclear event scale, and 7's as high as the scale goes. Your guide -- and radiation detector -- will no doubt keep you from lingering. 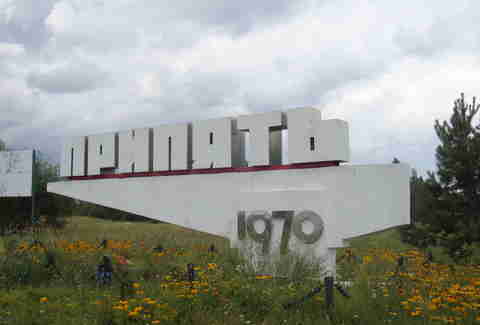 After hopping back on the bus, you'll make your way north to Pripyat; founded in 1970, this nuclear city was home to 49,000 citizens before it was evacuated following the meltdown. The city's made prominent appearances in popular culture, including several Call of Duty games and a brief cameo in the final scene of A Good Day to Die Hard. 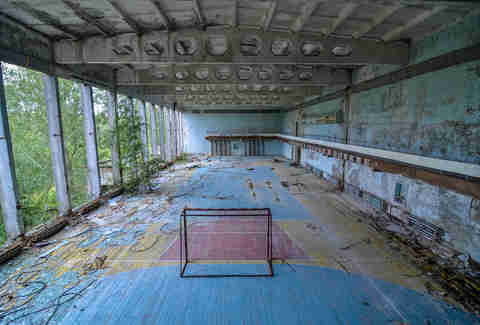 Most of Pripyat's buildings have deteriorated significantly, and some areas are off limits due to poor structural integrity or high radiation levels. This is the "Palace of Culture". And this is the eerie amusement park. 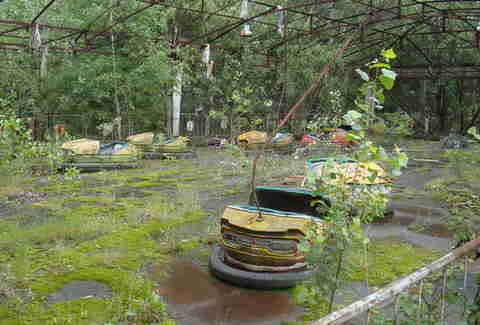 These rotting bumper cars have never actually been used, as the meltdown happened four days before the park was slated to open. 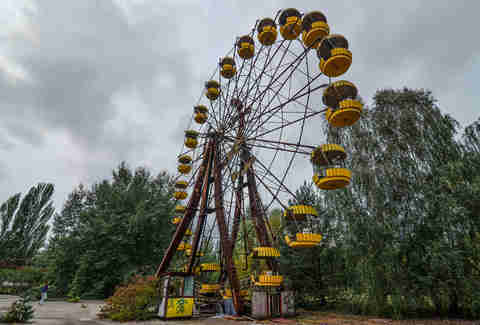 Like the bumper cars, this Ferris Wheel never saw any action before the evacuation; it's since become one of the most iconic symbols of the disaster. 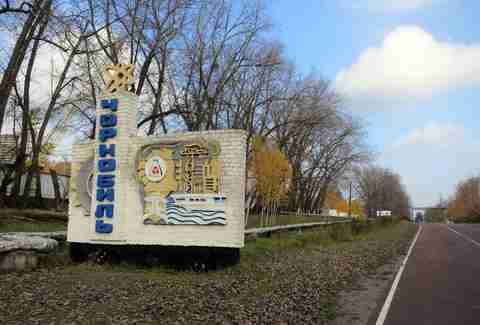 After lunch, you can either visit the Chernobyl Scientific Center or check out the nearby village of Opachychi, where people have moved back into their homes in the years since the disaster. Finally, before leaving the Exclusion Zone for good, you'll undergo several radiation tests to ensure that you actually have left it behind. If the alarm bells ring, you'll need to go through decontamination to get out. Gianni Jaccoma is an editorial assistant for Thrillist Travel. 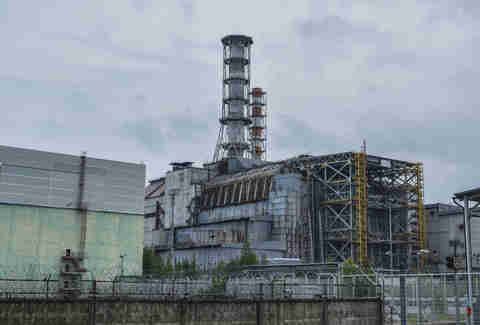 Chernobyl scares the pants off him, although he'd still like to go one day. Preferably wearing pants. Follow him on Twitter @gjaccoma.